PARIS — Stephane Da Costa saved France in a tense 4-3 shootout win against Belarus that kept its quarterfinal hopes alive, while co-host Germany lost to Denmark in overtime at the ice hockey world championship on Friday. With the top four from each group going through to Thursday’s quarterfinals, Germany was in fifth place in Group A and France at sixth in Group B.
Belarus rallied from 2-0 down and led 3-2 in regulation before co-host France equalized with about seven minutes remaining to force overtime in front of a nervous home crowd in Paris. France totally rode its luck, however, as Belarus hit the post at the end of regulation and right at the start of overtime, and then blew the chance to win the shootout when France missed twice. With France trailing 1-0 in the shootout, veteran goaltender Cristobal Huet saved from Andrei Stas and — after Da Costa kept France in it with an assured finish — made another stop from Alexander Pavlovich to send the match into sudden death. With the shooters reversed, Belarus went first and Mikhail Stefanovich — who put Belarus ahead in the shootout — was foiled by the vastly experienced Huet. Up stepped Da Costa and he confidently drew goalie Kevin Lalande before slotting through his legs for another composed shot under pressure. The nerveless Da Costa also scored the shootout winner against Switzerland on Tuesday. Germany also led 2-0 in Cologne, scoring twice inside a minute during the first period through wingers Patrick Reimer and Brooks Macek. But the Danes levelled before the end of the period through left winger Frederik Storm and centre Morten Poulsen, and won the match 3-2 when Peter Regin scored in overtime off a pass from Nikolaj Ehlers. Germany did not start first-choice goalie Thomas Greiss for the must-win game, despite Greiss making 42 saves last Friday to help beat the United States 2-1. Germany is three points behind fourth-place Latvia ahead of their crucial match on Tuesday at the Lanxess arena. At least Germany will be strengthened by the arrival of rising star Leon Draisaitl, whose hat trick for the Edmonton Oilers against the Anaheim Ducks last Sunday was the first by a German-born player in the NHL playoffs. Earlier in Group B, centre Roman Horak scored twice as the Czech Republic beat Slovenia 5-1. Right winger Michal Repik, defenceman Michal Kempny and centre Roman Cervenka also scored. The win moved the 2010 champion into second place in Group B, two points behind leader Canada, which is chasing a third straight title. Centre Elias Lindholm scored his fifth of the tournament as nine-time champion Sweden moved up to second in Group A by crushing last-placed Italy 8-1. Sweden’s other goals came from Victor Rask, defencemen Philip Holm and Jonas Brodin, Linus Omark, Carl Klingberg, Joel Eriksson Ek, and John Klingberg. Center William Nylander had three assists while Lindholm assisted Rask. Half the players invited to try out for Canada’s Olympic women’s hockey team know what’s coming. The other half don’t. Jillian Saulnier has heard veterans talk about meltdowns during the gruelling six months it takes to choose the Olympic team and prepare to battle for gold. Saulnier of Halifax and Poulin of Beauceville, Que., were among the 28 invitees announced Thursday by Hockey Canada. Those who don’t live in Calgary will be there by Aug. 1 to train full time and play more than 50 games before the Winter Olympics next February in Pyeongchang, South Korea. Those chosen will attempt to extend the country’s run of gold in women’s hockey to five straight. But first, the 28 candidates will participate in a 20-day boot camp in June to prepare them for the rigours of what’s called centralization. Countries are now allowed 23 players — three goaltenders and 20 skaters — on their women’s teams compared to the previous limit of three and 18. Canada’s Olympic team is expected to be named in late December. The U.S. has won seven of the last eight world championships beating Canada in overtime in the finals of the most recent two. Canada’s Pyeongchang hopefuls were selected by Schuler, assistant coaches Dwayne Gylywoychuk and Troy Ryan and Hockey Canada general manager of national team programs Melody Davidson. Players were chosen based on their previous performances with the national team, and their club or university teams. “Difficult doesn’t even do it justice,” Davidson said. “It was agonizing. Poulin scored both the equalizer and overtime winner in 2014, when Canada rallied from a two-goal deficit with less than four minutes to go to beat the U.S. and claim gold again. She and Brianne Jenner of Oakville, Ont., who also scored to spark the comeback, were among 14 alumni from that victorious squad summoned back for another shot at Olympic gold. Sisters Sarah and Amy Potomak of Aldergrove, B.C., defenceman Micah Hart of Saanichton, B.C., Saulnier and Blayre Turnbull of Stellarton, N.S., make this centralization roster the most coast to coast of any before it. Edmonton’s Shannon Szabados, Genevieve Lacasse of Kingston, Ont., and Ann-Renee Desbiens of La Malbaie, Que., are Canada’s three goaltenders battling for coveted Olympic starts. But Hockey Canada took the unusual step of naming two alternate goalies: Erica Howe of Orleans, Ont., and Emerance Maschmeyer of Bruderheim, Alta. The women will again play 30 games against midget-triple A boys’ teams in Alberta as they have in previous Olympic seasons. 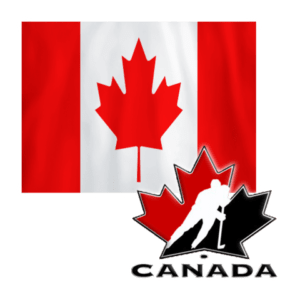 Those games simulate the pace of games against the U.S. and give the Canada an advantage over other countries who don’t get that type of competition. “The midget league is our bread and butter,” Davidson said. “The buy-in from all those teams and coaches, they want to help us win a gold medal.